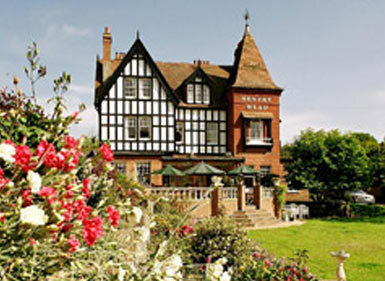 Sentry Mead is an ETC 5 Star Silver Award Country House Hotel providing dinner, bed and breakfast accommodation in the picturesque Totland Bay Village on the Isle of Wight. This area of the Island, known as the West Wight, is famous for its scenery and is designated an ´Area of Outstanding Natural Beauty´. The coastal footpaths and coastal road give access to the ´Heritage Coast´ with cliffs of amazing diversity fringed by sandy bays and rocky inlets. Good roads and an excellent ´hop-on hop-off´ bus service make all parts of the Island easily accessible. An excellent range of activities and places of interest mean there is always something for everyone here on the Isle of Wight. Sentry Mead is the perfect place to relax and unwind. It was designed in 1891 by Waterhouse, the celebrated Victorian architect, as a summer villa for Edwin Fox who owned the Newport to Freshwater railway. It has been a hotel since the 1930s and now boasts 14 comfortable and well-appointed bedrooms. Guests can choose to enjoy the terrace, gardens or sun lounge during the warmer times and when the nights draw in, your favourite tipple can be enjoyed by the welcoming fireside. At the end of the day, why not take a stroll along Turf Walk, the beach or the headland and experience the spectacular sunsets for which this part of the Island is famous. The hotel welcomes dogs, walkers and cyclists. We have facilities for storing bicycles and drying clothes. Free wi-fi internet access is provided. Please enquire for further details. Dining at Sentry Mead Hotel is an experience not to be missed. Our chefs create the menus using only the finest and freshest local organic produce. The choice of dishes reflects the current season and daily specials take advantage of late offerings by the farmers or fisheries. Recently awarded the ‘Local Produce’ and ‘Highest Quality Assured’ accolades from the Tourist Board, the chefs are keen to continue promoting Island produce and openly support the local dairy, free-range egg supplier and cheese-making company.